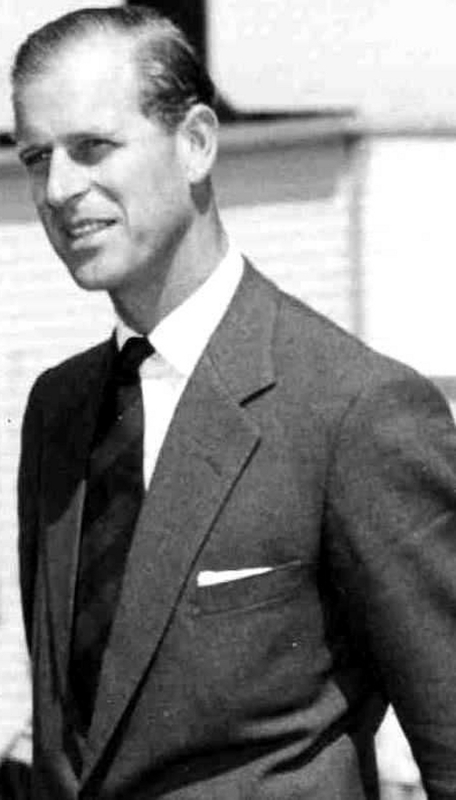 Prince Philip, the Duke of Edinburgh, was 90 on the 10th of June, and in his recent begrudging TV interview he came across with a sprightly grumpiness. Formidable, shall we say. On style matters it's widely acknowledged that he has rarely hit a wrong note. Elegant, conservative, timeless, permanent are the usual epithets. You look at photos and the silhouette of his suits hasn't changed much over the decades, as he has correctly eschewed chasing trends. And the basics in constructing suits have been perfected, so why change for the sake of change when it is going to mean a compromise? Besides, with the understated canvas of the suit in place, he could, if he really had to, embellish with a fancy pocket square or tie. There's room for playing with styles in other walks of life, but would it really be advisable for the Prince to compete in the fashion statement stakes with David Beckham, say? The thought of him having his children's names tattooed on his back has just made me shudder. This consistent look is partly because he has stuck with the same people that make his clothes. His tailor for the past 45 years has been John Kent of Kent and Haste, suit and shirtmakers on Sackville Street, London. The tailors possess the Prince's royal warrant. The Prince continued his patronage after Kent left his previous position at Hawes and Curtis. Let's hope that the royal warrant remains as an emblem of authentic British style for many years to come.